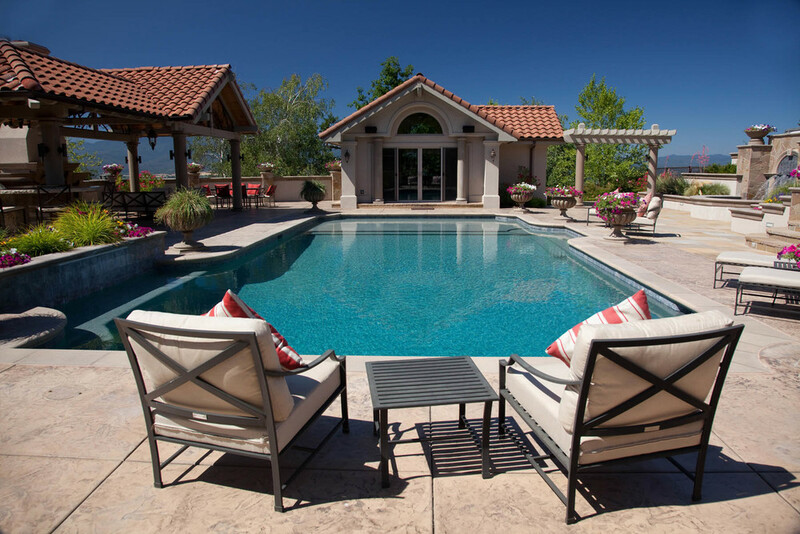 This Mediterranean influenced design in the foothills of Medford was inspired by old-world charm and modern convenience. A grand staircase leads down to a beautiful pool, surrounded by lush vegetation and decorative paving. 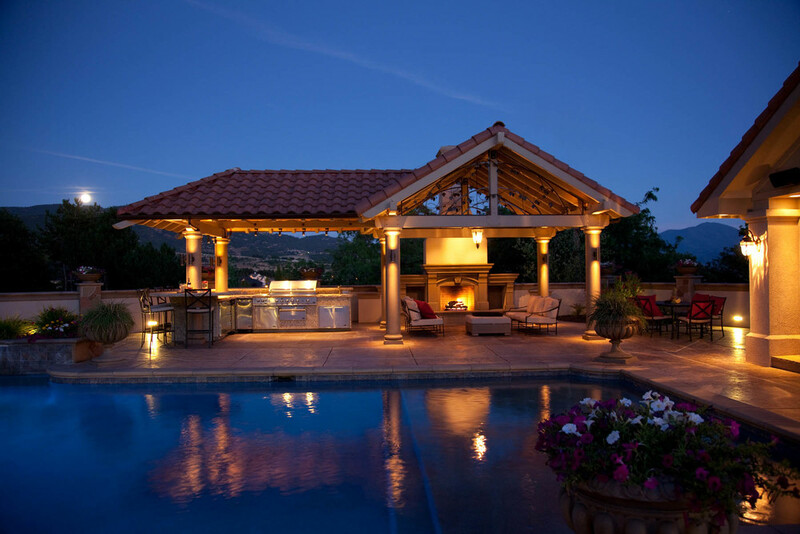 A Spanish tiled shade structure houses a modern outdoor kitchen, fireplace, and seating area while the adjacent cabana provides guest quarters with a bathroom and wine cellar.